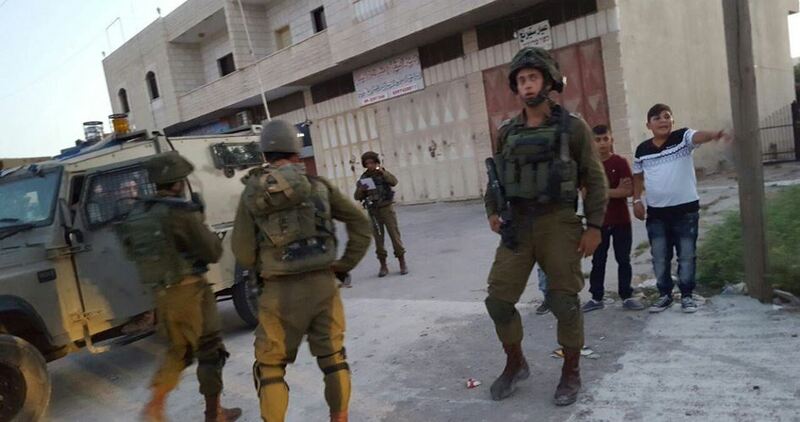 The Israeli occupation forces late on Tuesday evening prevented the construction of a Palestinian kindergarten in the town of Ya’bad, to the west of Jenin in the northern West Bank. Samer Abu Baker, mayor of Ya’bad, said that Israeli army ordered a halt on the planned construction of the building and confiscated the equipment belonging to the company undertaking the project, although the project is located within the organizational structure of the town. Abu Baker said the planned building was funded by Norway and approved by the European Union. The Israeli occupation forces (IOF) at dawn Wednesday waged new arrest and raid campaigns into different West Bank areas. Local sources told the PIC reporter that the IOF soldiers arrested the Palestinian youth Ahmad Daraghma in Tubas following clashes in the city. They added that Daraghma was arrested while injured. 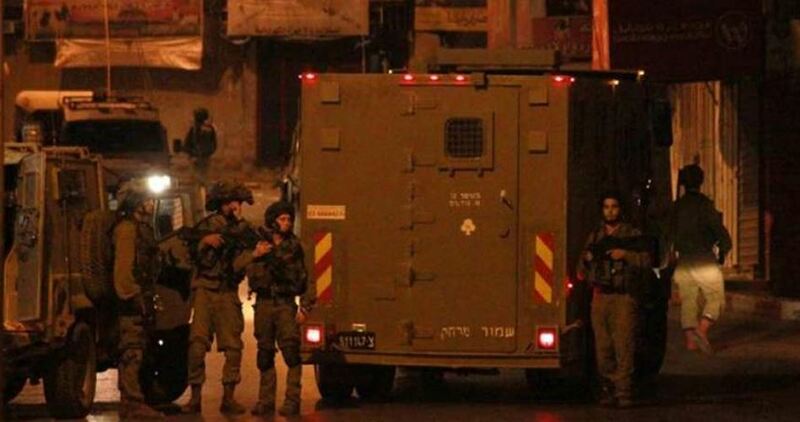 Another Palestinian youth named Mohammed Shakarna was arrested in a raid into Nahalin town to the southwest of Bethlehem. Meanwhile in Jerusalem, the Israeli forces arrested the mother of the Palestinian martyr Mohammed Shamasna and his 14-year-old sister Sara after breaking into their house in Qatanna town and assaulting his other sister. Similar campaigns were reported in Nablus, Ramallah and other provinces. Israeli Occupation Forces (IOF) on Wednesday afternoon claimed foiling a stabbing attack near Negohot settlement southwest al-Khalil by arresting a Palestinian man holding a knife and a map of the area. 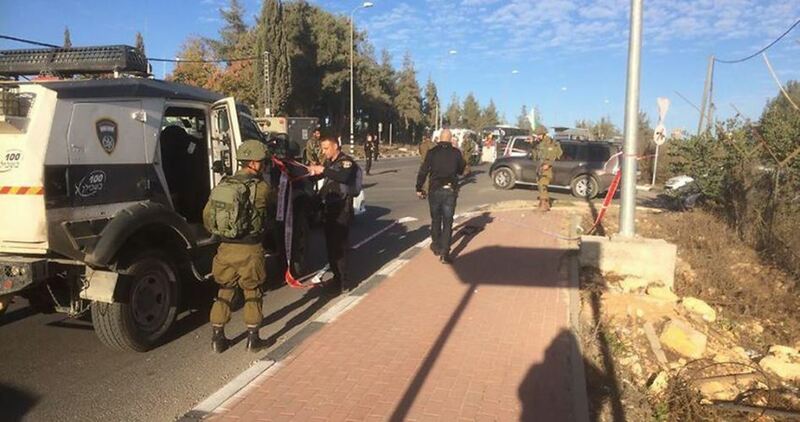 Israeli occupation army said that IOF soldiers apprehended a Palestinian suspect wearing a military-style jacket near the settlement, adding that a knife and a map of the settlement were found in his possession. The detainee and the found items were transferred to Israeli investigation centers. The Israeli occupation forces on Wednesday stormed Jenin’s eastern town of Zababda, in the northern occupied West Bank, and ransacked a Palestinian family’s home. Heavily-armed Israeli patrols rolled into Zababda in a flock of military jeeps and cordoned off Palestinian buildings before they wreaked havoc on a civilian home allegedly in the hunt for wanted citizens. The occupation forces set up a military checkpoint on the main access road to the area, blocking Palestinians’ movement inside and out. 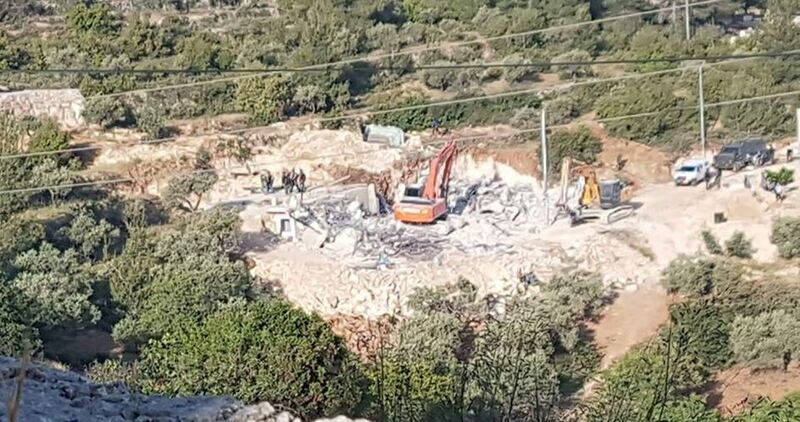 Israeli Occupation Forces (IOF) on Wednesday demolished a shed in Yatta town, south of the West Bank city of al-Khalil. Mohammad Rebi told the PIC reporter that IOF soldiers, accompanied by staff from the Israeli civil administration, stormed al-Rafa’iya area east of the town and proceeded to demolish the home of his cousin. It was the third time that IOF troops knocked down the structure at the pretext of unpermitted construction in full disregard for possessing documents that prove their ownership of the land, Rebi highlighted. Head of World Health Organization (WHO) in the Palestinian territories, Gerald Rockenschaub, warned of the continuation of the fuel shortage crisis in Gaza hospitals and health facilities, alerting that they will be running out of fuel by the end of February or at maximum during the month of March. 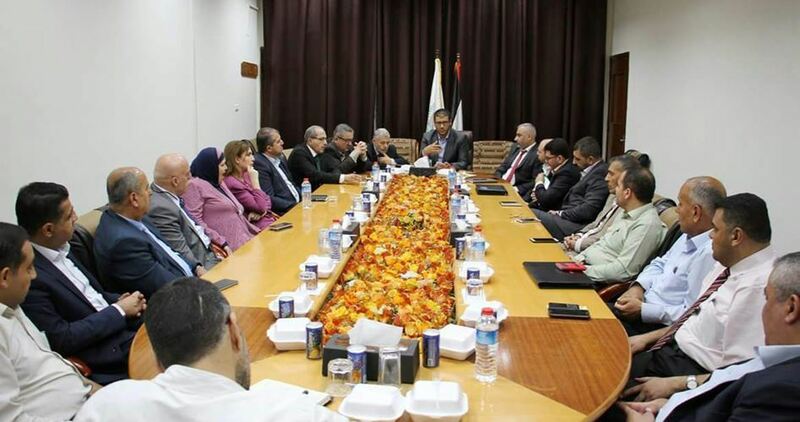 In a press statement following a meeting with Undersecretary of the Ministry of Health in Gaza on Wednesday, Rockenschaub said that the conditions in Gaza hospitals are too difficult. He pointed out that the measures taken by the Ministry are tough but necessary in order to save the lives of people until the crisis is resolved. He said that his organization is exerting intensive efforts for coming up with a solution to the crisis. An official in the Syrian Coalition said that the manner in which Moscow organized the Sochi Conference reflected its vision of the future Syrian state, which is based on the continuation of dictatorial rule, the empowerment of criminals, and the hijacking of the will of the Syrian people. “We cannot describe what happened during the Sochi conference but as a charade as it did not meet the minimum standards set by the United Nations for democracy and the people’s right to freely express themselves,” said Mohamed Yahya Maktabi, Secretary of the Coalition’s political committee. Maktabi condemned the existence of such a large number of invitees who he described as puppets similar to those comprising the so-called People’s Assembly of the Assad regime. He also denounced the invitation of criminals who are responsible for war crimes in Syria, most notably Miraç Ora who is on the wanted list in Turkey and the mastermind of massacres against civilians in the Syrian town of Baniyas. Maktabi also rejected Moscow’s attempts to undermine the will of the Syrian people and to impose conditions on them as well to monopolize efforts to reach a political solution in Syria. He called on the United Nations to enforce the resolutions it passed on Syria, most importantly the Geneva Communique of 2012 and UN Security Council resolution 2254 calling for full political transition in Syria. Israeli Prime Minister Benjamin Netanyahu and Transportation Minister Israel Katz inaugurated a new road on Tuesday that connects illegal settlements east of the occupied West Bank city of Qalqiliya, Israeli media reported. The road, which was given the name of Nabi Elias, is for use by Jews only. “We place a special emphasis on advancing the planning and execution of strategic transportation projects in Judea and Samaria [the occupied West Bank],” said Katz. He noted that this road is part of the current Israeli government’s efforts to promote transportation between settlements as well as the security and safety of Jewish settlers. He omitted the fact that the settlers and their settlements are illegal under international law. Quds Press reported Katz saying that paving the news bypass roads includes the expansion and reorganisation of existing roads, and building tunnels to make connections with Tel-Aviv and Jerusalem easier. The inauguration of this road came weeks after a pledge by Netanyahu to allocate NIS800m ($228m) for a security package as part of the 2018 budget. It will be used for settlement roads and infrastructure development. His move followed mass protests by Jewish settlers and their leaders, and confirms Israel’s status as a settler-colonial state. Israel will ask international donors to fund a $1 billion plan for the occupied Gaza Strip, intended to alleviate the territory’s humanitarian crisis, reports Haaretz. Israeli officials will put forward the proposal today at an emergency meeting of donor states in Brussels. The occupied Gaza Strip has been under a crippling Israeli blockade for more than a decade, restrictions denounced by international rights and aids groups as collective punishments. Attendees will include Palestinian Authority Prime Minister Rami Hamdallah and US envoy to the peace process Jason Greenblatt. The Gaza Strip’s economy is practically non-existent after years of deliberate Israeli de-development and restrictions on what – and who – can enter and exit. The Gaza Strip has also been devastated in three large-scale Israeli offensives since 2008. Unemployment is astronomical, exports are at a bare minimum, there are only a few hours of electricity a day, almost all the water is unfit to drink, and hospitals have a shortage of medicines. The Knesset yesterday passed in its first reading a bill extending the authority of the Israeli Higher Education Council over higher education institutions in illegal settlements built on Palestinian lands occupied in 1967. The Ariel bill was proposed by Education, Sports and Culture Committee chairman MK Ya’acov Margi and MK Shuli Moalem-Refaeli. The bill aims to extend Israel’s sovereignty over the West Bank under the pretext of facilitating the opening of a medical school in Ariel University. The bill effectively abolishes the West Bank Higher Education Committee which is part of Israel’s military system and extends the civil Israeli Higher Education Council’s authority over the illegal West Bank settlements. Jabareen said the bill will affect all universities in Israel, because it will hinder any future cooperation between Israeli universities and international and European research institutions. “But it is clear that annexation plans are more important to the right than any academic development,” Jabareen said, adding that academic institutions must develop the values of equality, justice and freedom and this cannot be reconciled with the existence of an academic institution in the settlement of Ariel which is part of an apartheid regime that has been in place for decades.